London is famous for many reasons and millions of people travel to the capital for theatre, fashion and historical relevance. 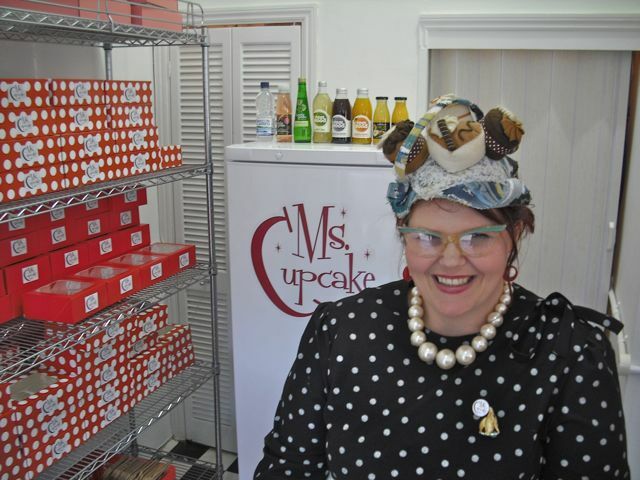 Well, now you can add vegan cupcakes to that list as Ms Cupcake finally throws open her doors to the world. 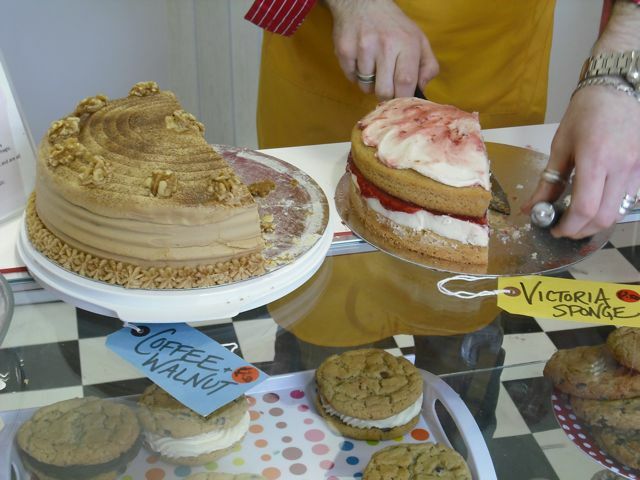 If you like vegan sweets, the Ms Cupcake bakery on Coldharbour Lane, Brixton is a dream come to life. The store (opened officially today) is a wonderland of animal-free frosting, sugary sponges and sweet concoctions. I was overwhelmed on entering the store for the first time. Everywhere I looked I was confronted by a staggering amount of temptations. It took me a while to process I was standing in a real, honest-to-goodness vegan bakery. Let the eating begin. The first thing that you notice as you walk into the bakery is the marvellous array of cupcakes. The choice on offer is a bit much to take in. 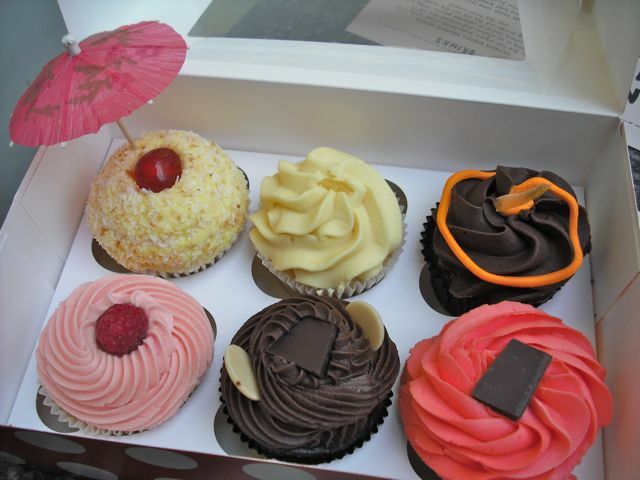 You can choose from strawberry/chocolate, triple choc0late, vanilla, pina colada, jaffa cake, ferrero rocher, lemon drop and so many more. I was beside my FGV self with delight. My eyes darted from flavour to flavour as I attempted to decide on the six pack of cakes I would be taking home. There are cookies in varying sizes and cupcakes in cups called… wait for it… Cuppa Cupcakes! 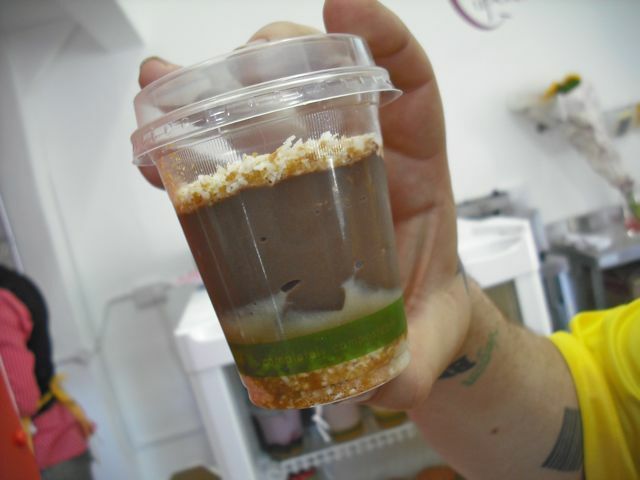 Ms Cupcake packs in cake and frosting and then some more cake and frosting to create a portable, sugary meal in a cup. It doesn’t get better. Well, maybe it does. I went into overdrive when I spotted the pudding cups. I snared one filled with a mixture of mousse, caramel and biscuit. Delightful doesn’t describe it. It was layer upon layer of the stuff that makes me a happy FGV. 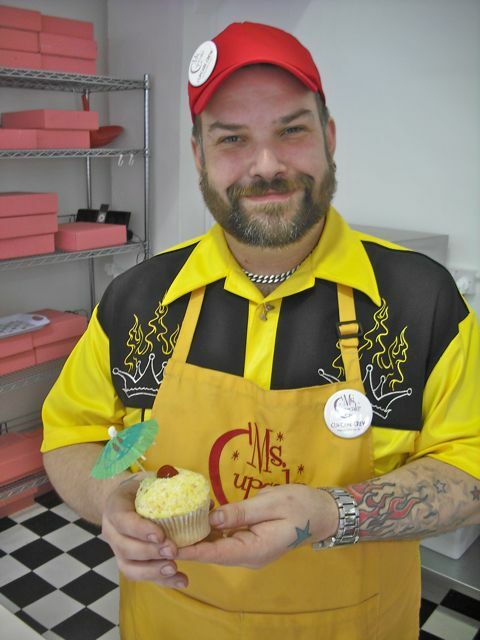 Next on my to do list at Ms Cupcake was to get my chubby, queer fingers around a cookie sandwich. My heart dropped a little when I realised they had sold out of the chocolate frosting-filled sandwich, but in a vegan bakery there is always a silver lining. 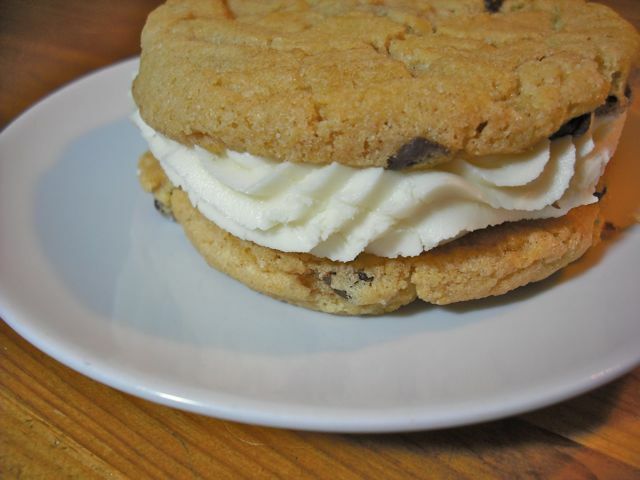 I grabbed a jumbo treat featuring two chocolate chip cookies held together with lashings of luscious vanilla frosting. I’m not sure how I held back, but I have only eaten half and I’m sure I will dream about the remaining portion all through the night. Ms Cupcake has got all bases covered. During a brief conversation with the cupcake legend herself, I discovered the bakery will soon be moving forward with plans to sell hot doughnuts and savoury snacks. Ms Cupcake advised these and other surprises will be rolled out over the coming weeks. The store already stocks best-selling vegan cookbooks and lifestyle guides by acclaimed authors such as Isa Chandra Moskowitz, Sarah Kramer and Melisser Elliot. 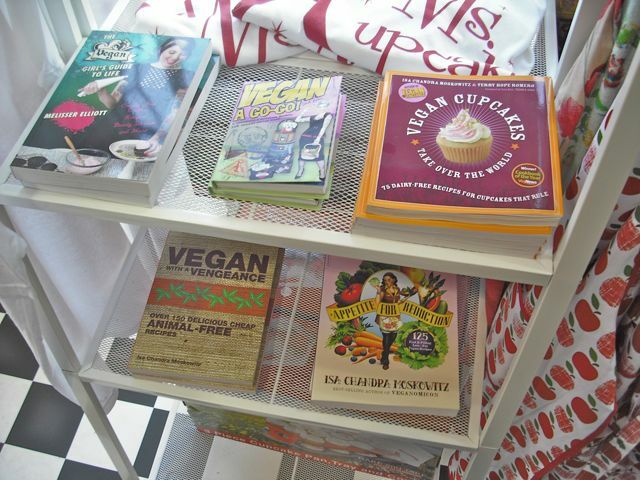 Vegan shoppers can also purchase aprons, cupcake holders and cake stands. The goodness never ends. 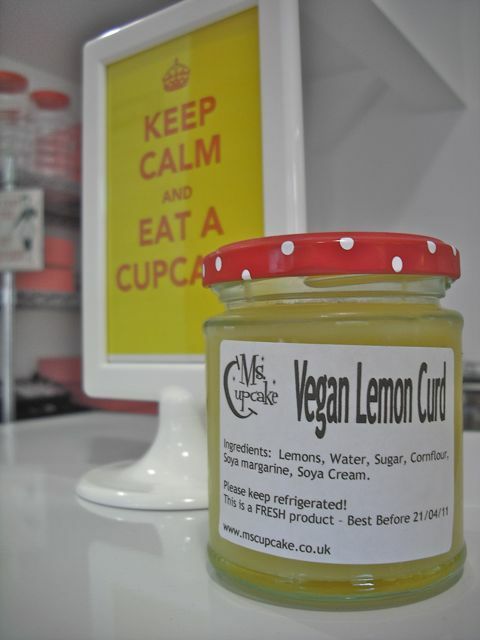 Ms Cupcake makes the most delicious and decadent lemon curd. This sweet spread is sold by the jar but I was fortunate enough to sample a tasting. It is the sort of thing you would never dream of finding as a vegan. A luxury vegan item like this comes along rarely. Have we overdosed on sugar yet? I am almost finished. Sweet Vegan marshmallows are featured in giant glass jars on the counter. Mouthwatering cakes are carved up and sold by the slice. Vegan crisps, gum, health bars, candy and assorted pre-packaged snacks line the shelves. Wow! There you have it. I didn’t think I would come out alive. Ms Cupcake is a revolution. Cakes and frosting beyond your wildest imagination. Do what you can to get there soon. Your taste buds will owe you a massive favour. I love your blog. Always makes me homesick to read your posts. There is good reason to be homesick with this bakery. Let me know when you are back and we can hit it up together. I just ate some of that cookie sandwich for breakfast. I think I’m in love. I did the same… and followed it with some of the triple chocolate cupcake. Irresistible. Hi Laura. Thanks for your suggestion. I have a post about Vx coming up later this week. Keep an eye out for it. Cheers. This reads like a trip report from heaven. Holy moly. Definite stop at my next visit to the capital. Just remember they are closed Monday and Tuesday. Don’t come to London on those days! 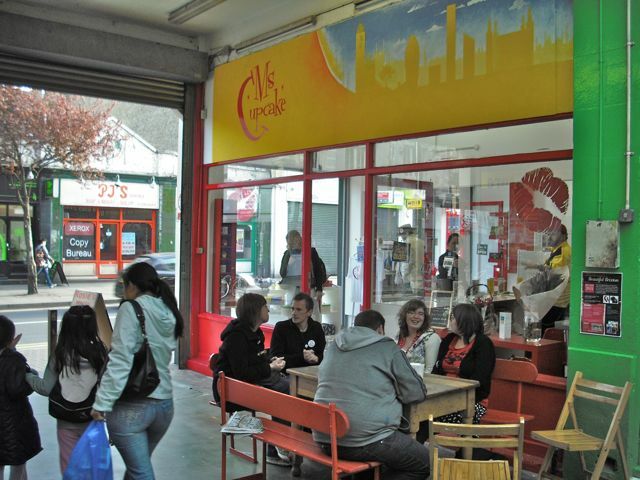 Brixton used to be all about fried chicken but it looks like it’s getting some class – love those pics!